[PDF] Check Your English Vocabulary for TOEIC | Free eBooks Download - EBOOKEE! 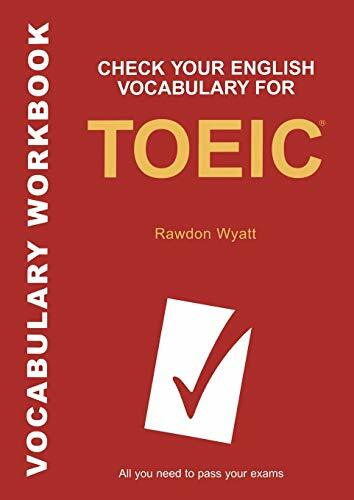 Description: Filled with illuminating questions and answers, this comprehensive workbook provides exercises to help teach and build vocabulary related to the TOEIC examination. For nearly three decades, the Test Of English for International Communication (TOEIC) has been used to measure the ability of nonnative English speakers to use English in occupational situations. Through the puzzles, examples, and word games in this guide, students can get to know words in different contexts and become familiar with language use in the workplace. The material covered also includes grammar, comprehension, and spelling to fully prepare test takers for the TOEIC. No comments for "[PDF] Check Your English Vocabulary for TOEIC".